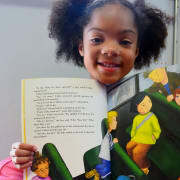 It may just be reading to you, but to our girls it's securing a future. The Girls Inc. Literacy Project highlights best practices and strategies for youth-serving organizations to effectively work with schools and teachers in developing a literacy program for girls in grades K-3. Girls Inc. will serve as one of two affiliate pilot sites to integrate the program model into their organization and report on their progress. Pilot sites will leverage existing relationships with schools to form a strong bridge between formal and informal education in the development of a literacy program. The program will be Monday-Thursday from 3-6pm. We would like volunteers to commit to 2 days per week to keep the volunteer schedules consistent for our girls. Their programs are Monday & Wednesday or Tuesday & Thursday. However, if you are only available one day a week we will definitely work with what you can offer. Supervised by Stephanie Mendoza, Volunteer Coordinator & Literacy Program Facilitators. Proof of negative TB test is recquired. Live Scan background check.